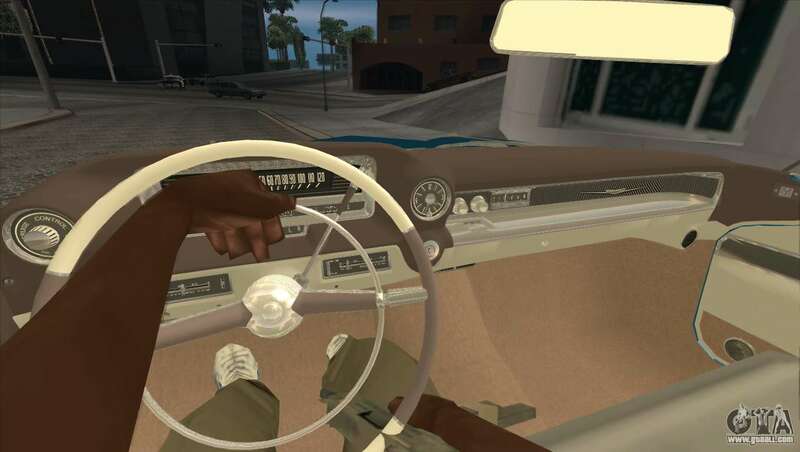 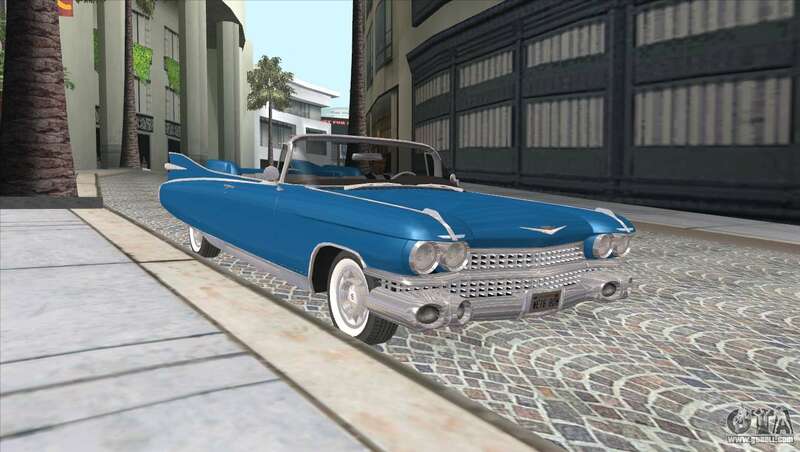 Introducing the new model for GTA San Andreas - Cadillac Eldorado Biarritz 1959 model year of Driver: San Francisco. Model adapted for Active Dashboard (wipers, speedometer, fuel gauge, thermometer, wheel), IVF (brake lights, high beams, fog lamps, reverse gear, illumination devices). 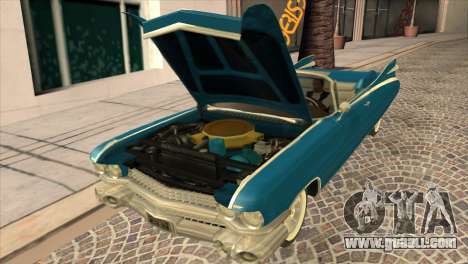 - New handling, carcols (color chosen to match factory), vehsets (for correct operation of the instrument panel, the file is located in the data folder, if you installed it). 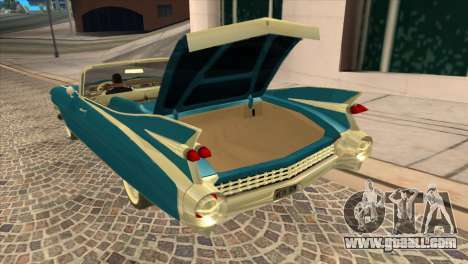 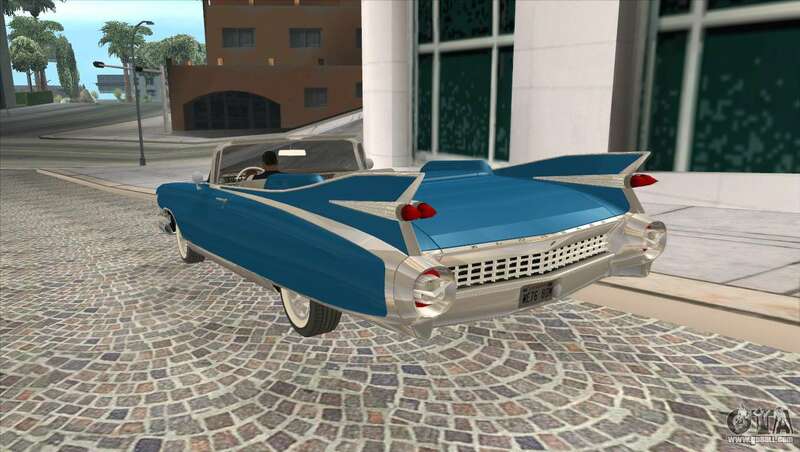 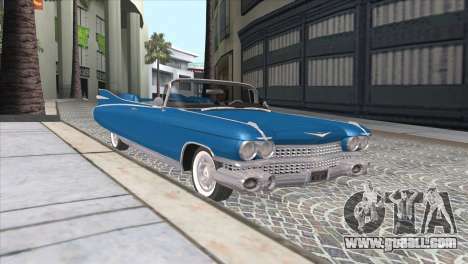 Free download mod Cadillac Eldorado Biarritz 1959 for GTA San Andreas with automatic installation using the links below.